The brain of Chess Kids works differently. 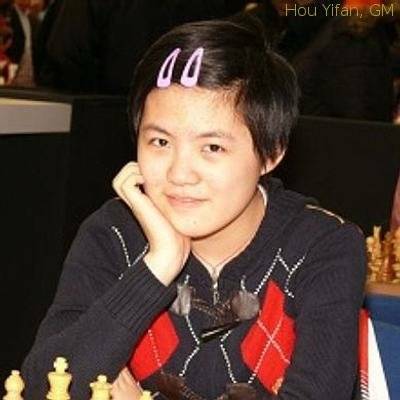 On October 2008 Hou Yifan was actually the youngest grandmaster (GM) of the world! Chess Kids like Hou Yifan are simply amazing. She was born on 27th of February 1994 in Xinghua, Jiangsu, China. In the year 2003 she came first place at the world championship for girls under 10 and a year later third place in the world championship for boys under 10. She won the Chinese championship for women 2007, just thirteen years of age and was the youngest ever National Women's Champion. In march 2008 she won the Atatürk International Women Masters in Istanbul with 7 / 9 points. Hou Yifan is now Women Grandmaster (WGM) and Grandmaster (GM of Men). Her Elo-Rating at December 2008 was 2578 and she was number 3 in the FIDE-Ranking list for women (after Judit Polgar and K. Humpy). During the Chess Olympiad in Dresden/Germany in 2008, Yifan Hou received the grandmaster title (GM). This made her the youngest chess grandmaster in the world at the time. Hou played already chess at the age of 6, but was fascinated by chess pieces when she was 3 years old. Her father, Hou Xuejian often went to a bookstore with his daughter after dinner and noticed that the little girl liked the glass chess pieces behind the window. Some time later he bought his daughter her first chess set. Only weeks later, the 3-year-old was able to beat her father and grandmother. From 1999 onwards her father found a chess teacher for his 5-year-old daughter, IM Tong Yuanming, a member of China's national chess team. Two weeks later Tong told Hou Xuejian that his daughter showed outstanding chess talent. Hou became the youngest member of the chinese national team. She finally became Women World Chess Champion in 2011.